The District judicially applies both aquatic and terrestrial herbicides in the canals and along canal banks to control noxious weeds and to help keep waterways running freely. 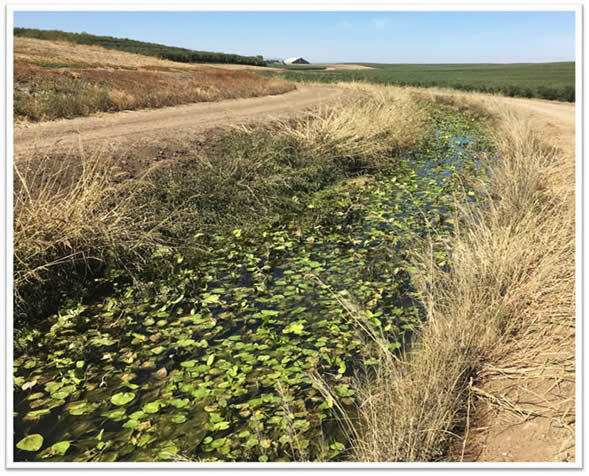 The photos shown below depict some of the weed control challenges that District staff have confronted in order to provide water to growers in western Yolo County. The District follows all manufacturers' application and safety guidelines. 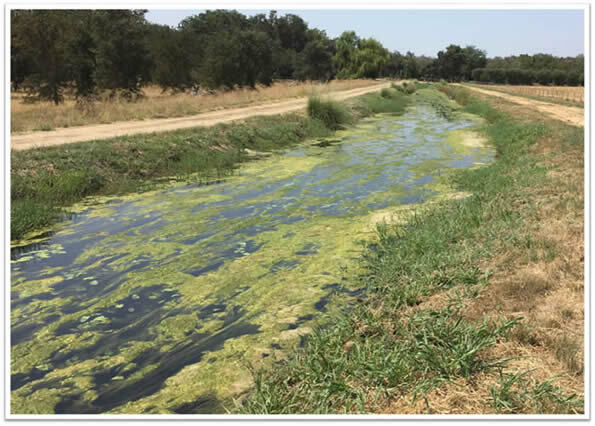 The Notice of Intent (NOI) for applying aquatic herbicides in District canals may be read by clicking here. The NOI lists the names of the aquatic herbicides and algaecides that the District intends to use, along with their active ingredients.